GREAT MILES 33,703! PRICE DROP FROM $19,995, FUEL EFFICIENT 28 MPG Hwy/19 MPG City! 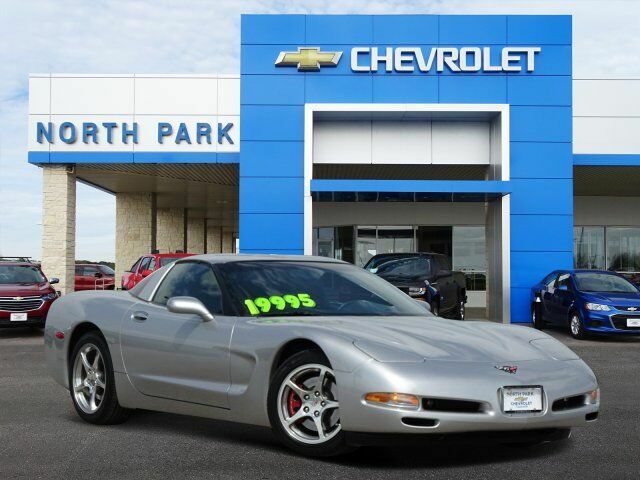 Leather Interior, SOUND SYSTEM, 12-DISC CD CHANGER, REM... Dual Zone A/C, Premium Sound System, Aluminum Wheels, ROOF PACKAGE, MEMORY PACKAGE CLICK NOW! Leather Seats, Premium Sound System, Dual Zone A/C. ROOF PACKAGE includes (CF7) Roof panel, 1-piece, body-color and (CC3) Roof panel, 1-piece, translucent, WHEELS, HIGH-POLISHED, 5-SPOKE ALUMINUM, 17" X 8.5" (43.2 CM X 21.6 CM), FRONT AND 18" X 9.5" (45.7 CM X 24.1 CM), REAR (with 1SC Preferred Equipment Group, Included with (Z15) Commemorative Edition. Includes specific center caps with special logo. ), PREFERRED EQUIPMENT GROUP includes (UV6) Head-Up Display, (AAB) Memory Package, (DD0) Mirrors, inside rearview and driver outside rearview, electrochromic (light-sensitive auto dimming), (N37) Steering column, power telescopic, (T82) Twilight Sentinel, headlamp control system, TRANSMISSION, 6-SPEED MANUAL, SOUND SYSTEM, 12-DISC CD CHANGER, REMOTE, ENGINE, 5.7L LS1 V8 SFI (350 HP [261.0 kW] @ 5200 rpm, 375 lb.-ft. [506.2 N-m] @ 4400 rpm for manual transmission, 360 lb.-ft. [486.0 N-m] @ 4000 rpm for automatic transmission) (STD), MEMORY PACKAGE 3 driver settings Remote Trunk Release, Keyless Entry, Heated Mirrors, Electronic Stability Control, Bucket Seats, 4-Wheel ABS, 4-Wheel Disc Brakes. Was $19,995. MEMORY PACKAGE 3 driver settings, remembers "presets" for 6-way power seat, outside mirrors, climate control, radio presets and telescoping steering column, if equipped.